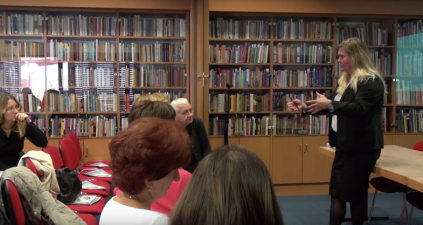 The Think Tank launched an European project “The Economic Impact of Public Libraries” in autumn 2015. 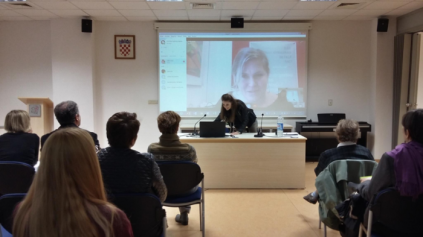 The aim of the projects is to share experience and knowledge on new ways of demonstrating impact and value of European libraries and address political key messages to politicians at both national and European level about the economic value of public libraries. The Reading and Writing Foundation supports the project. Public libraries make a positive contribution to people’s health and wellbeing and can save the NHS money, according to research published by Arts Council England. The new research, commissioned by the Arts Council and carried out by SImetrica, has quantified the economic value of benefits to health and wellbeing contributed by public libraries. It shows that people value public libraries in part because of the benefits to their quality of life and that the improvements to health can save the NHS around £27.5million a year. The methodology used in the research was consistent with the HM Treasury’s Green Book guidance, the Government’s guide to properly assessing the economic value of public services. The Barcelona Province Municipal Libraries Network (MLN) experience: The value of the MLN’s libraries in society’ is complemented by the study ‘The return on investment of MLN libraries’ (Luria & Pintor, 2013). The latter study provides information on libraries’ economic benefits by calculating their return on investment for the general public. In its conclusions, it calculates that for every euro of public money invested in MLN libraries, a direct benefit of €2.25 is generated (if the indirect benefits are also included, the return on investment is €4.25 for each euro invested). This result is comparable with other leading library networks in other countries.